Maria Josefa Antoinetta de Borbón was born on 20 January 1742. She was the daughter of Carlos III de Borbón, Rey de España and Marie Amalie Prinzessin von Sachsen. She died on 1 April 1742. Maria Isabel Ana de Borbón was born on 30 April 1743. She was the daughter of Carlos III de Borbón, Rey de España and Marie Amalie Prinzessin von Sachsen. She died on 5 March 1749 at age 5. Marie Josefa Carmela de Borbón was born on 6 July 1744. She was the daughter of Carlos III de Borbón, Rey de España and Marie Amalie Prinzessin von Sachsen. She died on 8 December 1801 at age 57. He was a member of the House of Bourbon. He gained the title of Duc de Calabre. 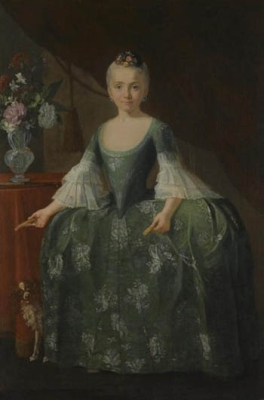 Maria Teresa de Borbón was born on 2 December 1749. She was the daughter of Carlos III de Borbón, Rey de España and Marie Amalie Prinzessin von Sachsen. [S12] C. Arnold McNaughton, The Book of Kings, volume 1, page 427. Gabriel Antonio Francisco de Borbón, Infante de España was born on 11 May 1752 at PrticiG. He was the son of Carlos III de Borbón, Rey de España and Marie Amalie Prinzessin von Sachsen. He married Maria Anna Vitoria de Bragança, daughter of Dom Pedro III de Bragança, Rei de Portugal and Dona Maria I de Bragança, Rainha de Portugal, on 23 May 1785. He died on 23 November 1788 at age 36. Maria Anna de Borbón was born on 3 July 1754. She was the daughter of Carlos III de Borbón, Rey de España and Marie Amalie Prinzessin von Sachsen. 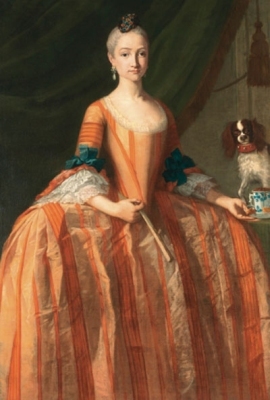 She died on 11 May 1755.